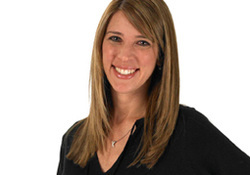 Melissa Hatter is the EVP of Client services and Product at Frankly Media (formerly Worldnow)-- a media technology company that serves the broadcast television industry. Her focus in on developing client inputs within a SaaS strategic roadmap process. Prior to Worldnow, she held senior account management roles at UGO Networks and the NBC Television Network. Melissa won an Addy Award for Excellence in Interactive Media from the Tri-State Advertising & Marketing Association.